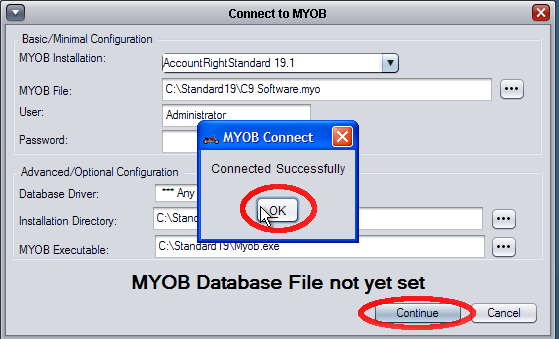 The following explains how to synchronize C9 data into MYOB Account Right. This step needs to be performed on the computer where MYOB is installed. 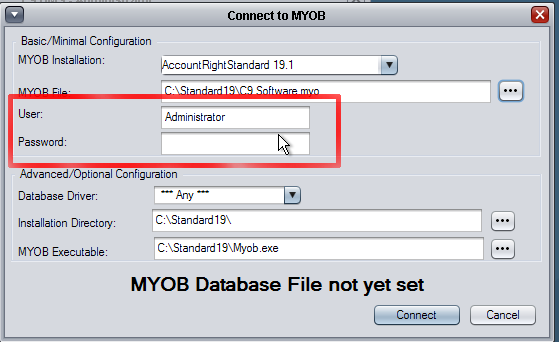 MYOB does not have to be open for the synchronization to work, but the process executes faster if it is - so it is recommended to open the company file in MYOB when doing this. 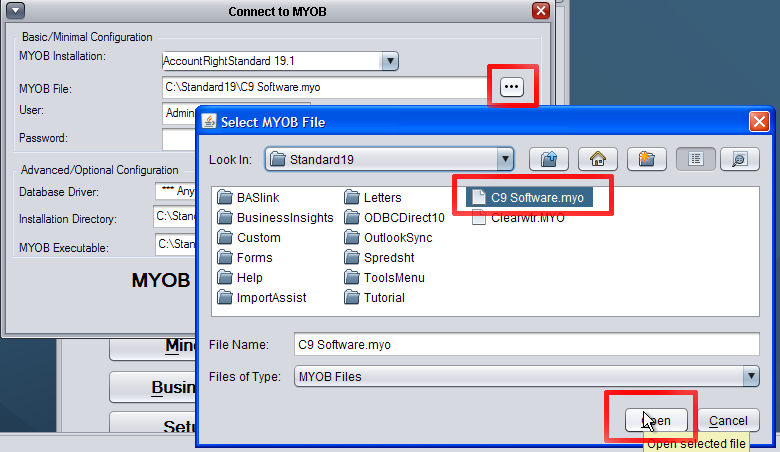 On first synchronization, you need to tell C9 where MYOB is installed and what c9 suppliers map to what MYOB suppliers. 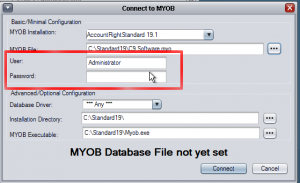 You need to ensure that suppliers are created in MYOB first. 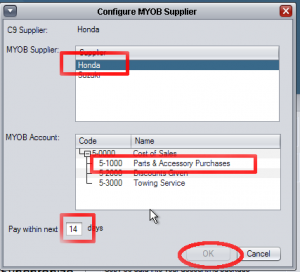 C9 will not create suppliers for you. 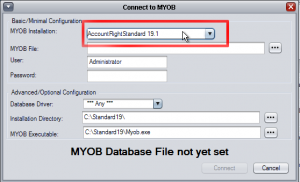 Select MYOB if not already selected. 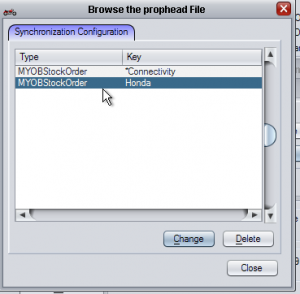 Select how far back you want to go for synchronizing information. c9 will only synchronize information not yet synchronized. 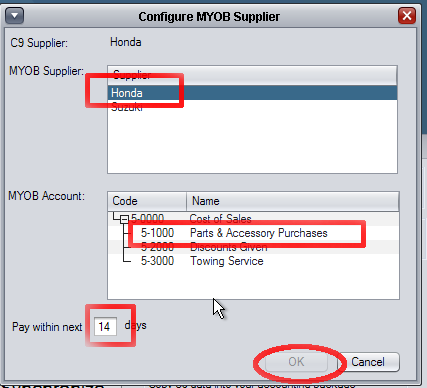 So the default of 30 days means synchronize anything that has not been synchronized yet that is less than 30 days old. On select synchronize for the first time the system will display a window where to tell C9 how to connect to c9. Normally C9 should figure most things out and the only thing you need to worry about is setting the company file, username and password. 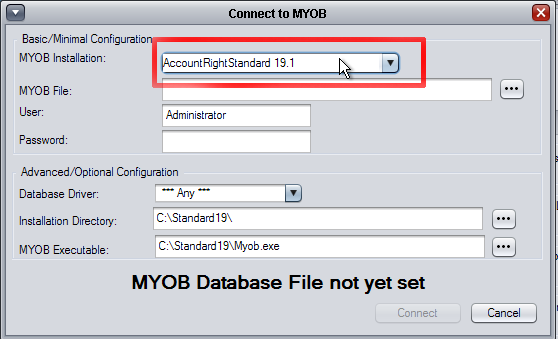 If you have different versions of MYOB installed, make sure the selected version at the top of the window is set to the correct one.